8 Weeks to Wellness (8WW) is a proactive, lifestyle approach to changing your health for the rest of your life. 8WW was developed to provide a structure health program that works with the primary mission being your health. 8WW will optimize how you eat and supplement, what you think about, and how you exercise and care for your body through a specific, comprehensive 8-week program. 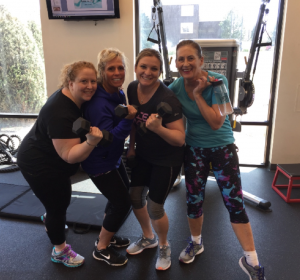 Our program is different from many weight loss or exercise program because it develops an understanding of how to build healthy lifetime habits. 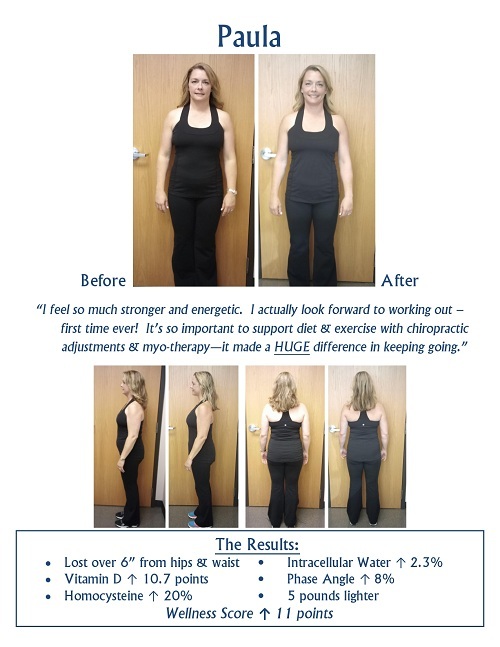 Over the course of eight weeks we integrate chiropractic, exercise, massage, mindfulness, and nutrition. The program is based on science; we look at numerous biomarkers of health and compare them with pre and post program Wellness Scores. Join us for our 2nd annual 8WW Challenge!! Need motivation with your health and wellness goals? Want to shed that winter weight and head into summer feeling strong and confident? The program is called Eight Weeks to Wellness . Our staff has all gone through the program and believe that this is a life changer for us and most of our patients. Combining the Five Spokes of Health - chiropractic, massage, attitude, exercise and diet, the program changes your habits to help you live a better lifestyle. 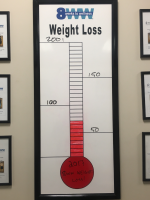 The program is very complete including an exam and complete lipid panel blood test to evaluate your health, along with helping you determine your goals. 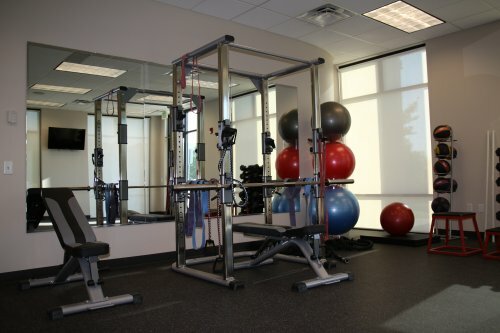 Your doctors, trainers, massage therapists and staff assist you to achieve your goals with chiropractic care, myo therapy, customized workouts, and diet planning. Check out these before and after photos of some of our transformations!